Close-up stock image of the paintings at Gulgurn Manja - Aboriginal Rock Art Site in the Grampians National Park (Gariwerd), Victoria (VIC), Australia. 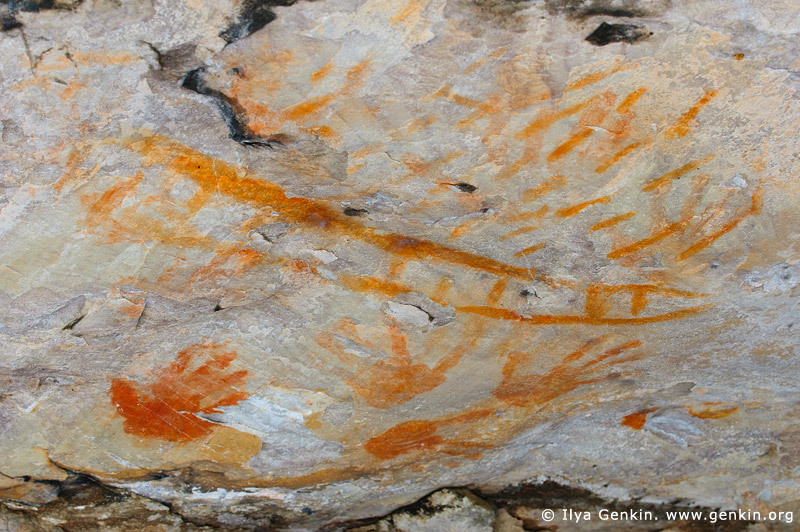 This image id GULGURN-MANJA-SHELTER-0004 of Aboriginal Rock Art Paintings at Gulgurn Manja Shelter, is copyrighted © by Ilya Genkin. This is not a public domain image.